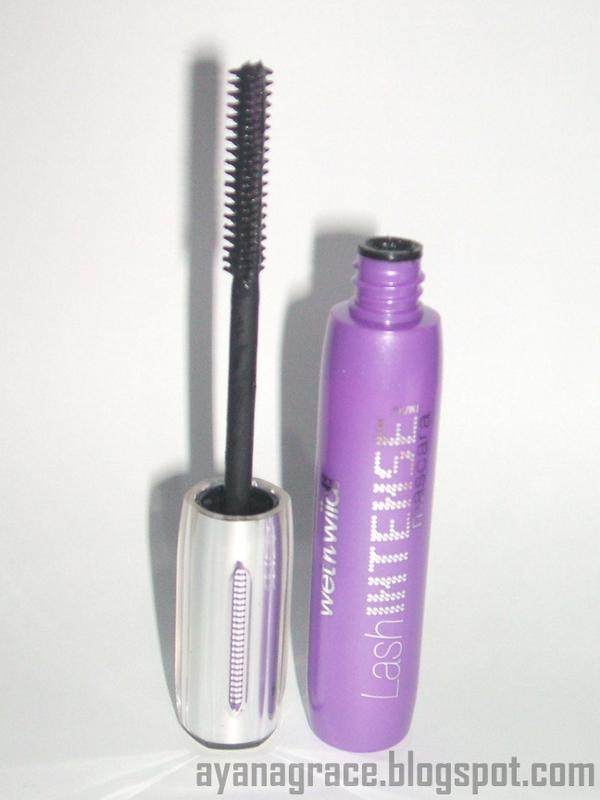 Description (from Wet N Wild): Specially-engineered, high precision, volumizing brush and definer. Sculpts lashes with optimum separation and maximum drama. Coats even the hardest to reach lashes. This mascara is packaged with the wand out of the tube (the tube has a cap, of course) so make sure the applicator is clean before you use it. 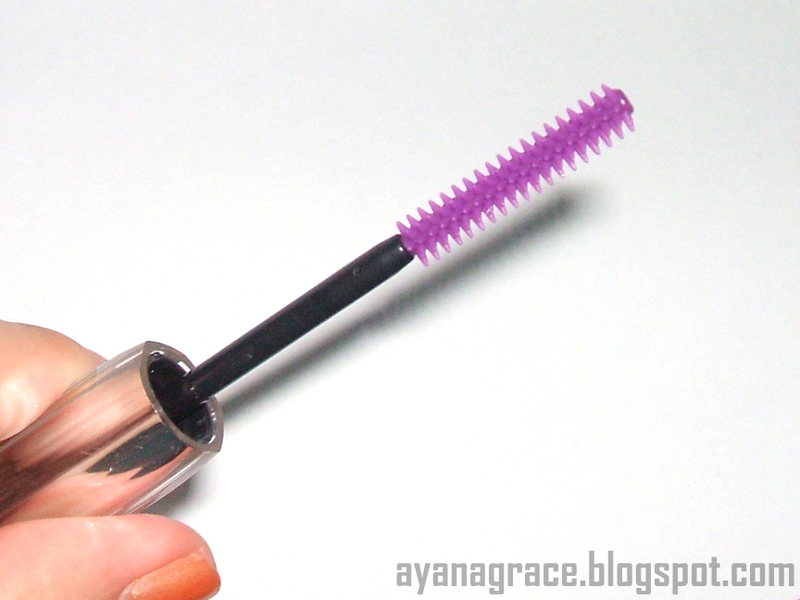 One of the features of this mascara is the 2-in-1 applicator. The brush side is used to coat the lashes with the mascara, while the comb side is used to separate and define the lashes after coating to remove any clumps. 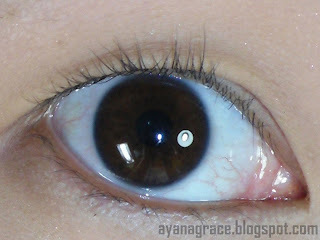 Here's a swatch of this mascara on my hand. Let's look at some before and after pics first, shall we? It indeed lengthens my lashes and adds volume especially after two coats. The formula is light. My lashes don't feel stiff with this mascara on. Applicator is thin and easy for me to use because I have small eyes and short lashes. Gives my lashes more volume. 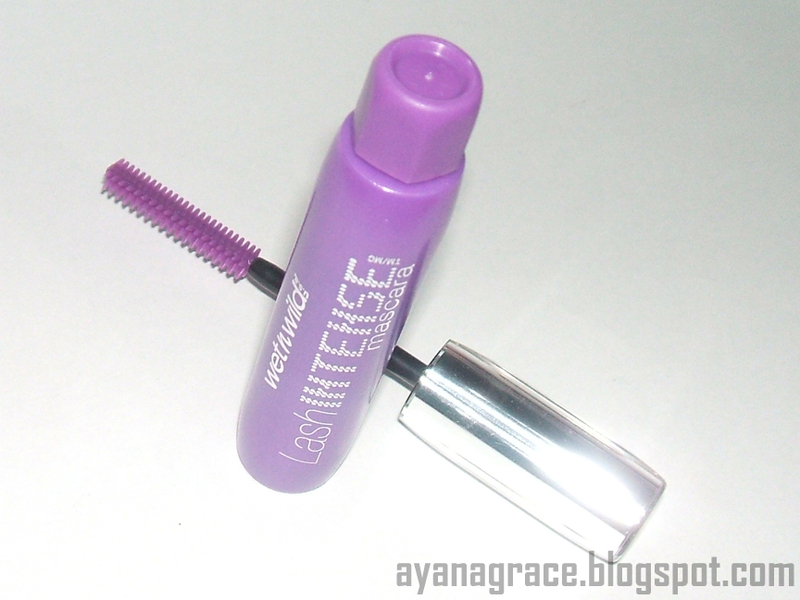 2-in-1 applicator separates the lashes well and gives a clump-free and clean look even after several coats. Keeps my curled lashes up and doesn't weigh them down. Easy to remove since it is not waterproof. Has a weird smell. It's something that I can smell when the applicator gets near my nose but not something that I can still smell when the product's already on my lashes. For me, the drying time is a little longer than I want. 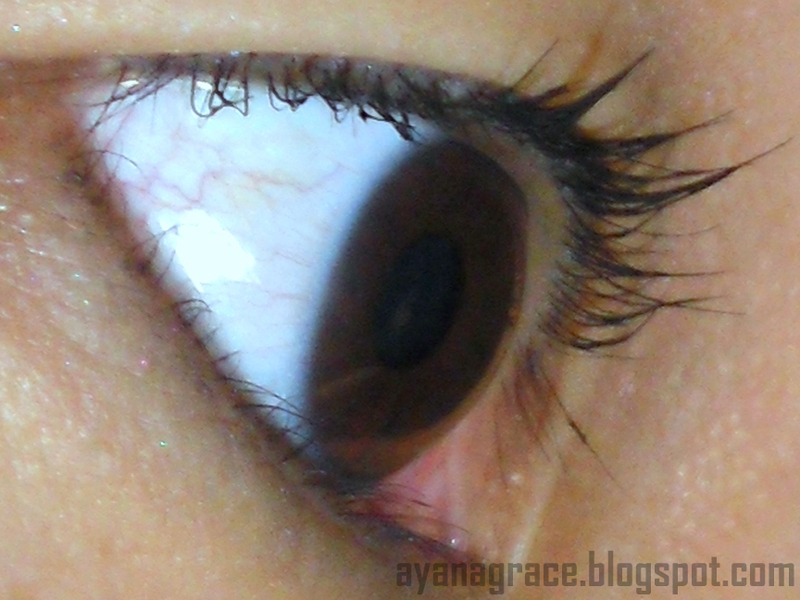 I have monolids and it's easy to get mascara on my lids when I blink. I prefer something that dries quickly. For me, I'm quite happy with this one, considering how much I spent for it and the value I'm getting. I love the length it gives my lashes. The drying time is my only "major" problem with this one. I try not to blink too much after application so I wouldn't get stray marks on my lids. 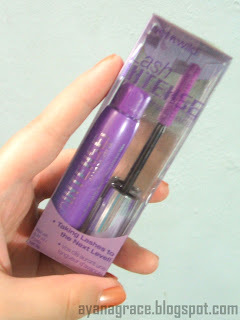 Anyway, I bought this mascara online for only 99.75 Php. I don't know the original price. Please let me know if you do. Thanks for reviewing this Sis. I've been always hesitant to try out that mascara for the longest time. Will probably buy this for somebody else. I'm currently loving my Maybelline Mascaras. Hi. Nice post. Im just starting to gather my kikay kit and would you mind to help out on it. I would love to know your view about this item http://www.tameraonline.com/servlet/the-179/Neutrogena-Weightless-Volume-Wax-dsh-Free/Detail. Hope to hear from you soon. Thanks! @Madiha, thanks! That's why I like this mascara. @Louise, yeah it is! I didn't want to dip the applicator in the tube at first coz I didn't want to ruin it. Haha! @Chuui, and they give cleaner results too!